For most prospective graduate students, the choice between the GRE and the MAT is no choice at all. Lots of programs require the GRE but won’t consider MAT scores; a few programs accept only the MAT. But what if you’re among the lucky few who get to decide which exam to take? As we’ll see, “MAT or GRE?” sounds like a simple question, but there are many factors to consider. Depending on what your target schools are looking for, you may not have as much of a choice as you imagine. Some schools will list a preference for one exam or the other on their websites. Others won’t advertise a preference, but if you get in touch with their admissions officers, you may discover a trend. Do they set the bar higher for one test than the other? Do most of their successful applicants take the same test? These are valuable pieces of information. Weigh them carefully in choosing an exam. For some students, however, this won’t be enough. Maybe your target schools have no discernible preference. Perhaps your practice GRE and MAT scores are neck-and-neck in percentile terms. In that case, we need to take a few more things into account: your skills, your schedule, and your study habits. The GRE is a much longer exam, but it’s narrower in scope and more amenable to a short, focused program of study. If the following description sounds like you, consider taking the GRE instead of the MAT. You have a great mathematics background. The GRE tests a variety of math topics, including algebra, geometry, basic statistics, and (on the harder problems) even a little bit of combinatorics. These questions make up roughly a third of the GRE and appear as a separate part of your score. On the MAT, in contrast, math questions are relatively rare, and many of them are quite simple. Your working vocabulary isn’t the strongest. 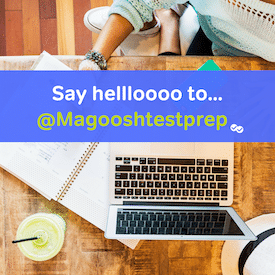 Although both the GRE and the MAT will test vocabulary, the GRE tests it in the context of sentences, paragraphs, and passages. When you don’t know a word on the GRE, you can often “reason around it” or use process of elimination to increase your odds. This is much harder to do in the MAT format, where difficult words appear in isolation. You prefer (or require) a short-term, high-intensity study plan. Although you can’t cram very well for either test, the GRE has a “light at the end of the tunnel.” Over the course of a few months, you can learn all of the math properties – and most of the high-frequency vocabulary – that you need to do well on the GRE. You’re gunning for a perfect score. No question about it: perfect scores are rare on the GRE. But they’re astronomically rare on the MAT. If you’re a perfectionist, you’ll be much better served by an exam that puts perfection within reach. The MAT takes only an hour, but it includes questions from a wide range of subjects, complicating any attempt at last-minute preparation. If you identify with the below statements, you may be a better candidate for the MAT. You took lots of general education courses (or breadth requirements), and you did well in them. The MAT is a generalist’s exam, with only a few questions on each subject. If your undergraduate transcript resembles the MAT topic list, then you have a significant head start on your studies. You love logic puzzles. Although the GRE has its share of puzzling questions, every MAT question is in essence a puzzle: how do these three pieces fit together? What is the missing fourth piece? If you enjoy this sort of thing, you may even find the MAT oddly charming, compared to the SAT-style multiple choice you’ll face for much of the GRE. You’re good at analogic reasoning. The MAT is, at heart, a test of your ability to recognize the resemblances between seemingly disparate things. That makes it a good choice for students who find it easy to come up with metaphors and analogies of their own, or who can explain unfamiliar concepts in terms of familiar ideas. You prefer (or require) a long-term, low-intensity study plan. You won’t be well-served by cramming in either MAT or GRE preparation. But effective MAT study is much harder to do in a single summer, because of the sheer breadth of content that might show up in a given exam session. Getting ready for the MAT means identifying weak areas from a wide range of subjects, then filling those in one by one. Again, a practice test (or, at a minimum, a set of practice questions) will be a better predictor of MAT or GRE success than any rubric I can devise. If you score a 330 (superb) on your practice GRE and a 400 (average) on your practice MAT, then those numbers speak for themselves. Likewise, if your target schools say they’d prefer that you took the MAT, listen to them! 🙂 The above advice is meant mainly as a tiebreaker, to be used in conjunction with your own admissions research and practice.